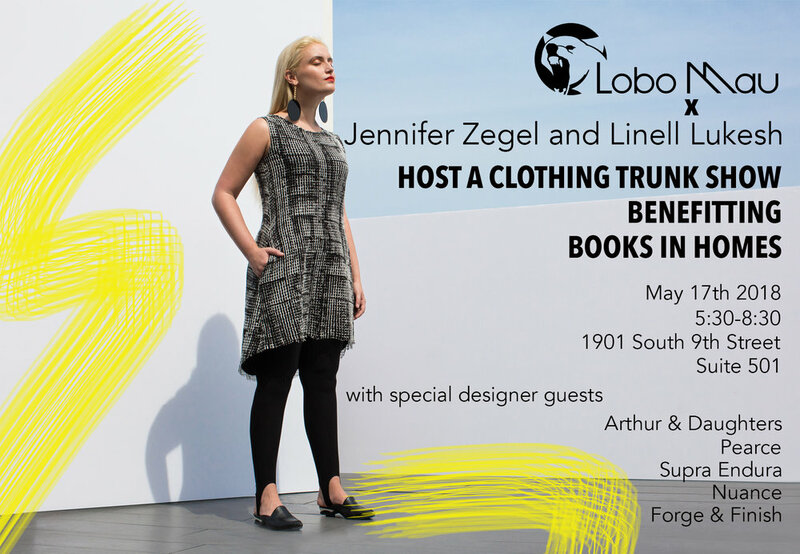 Come drink Penns Woods wine and Dock Street beer, eat and SHOP Lobo Mau's amazing and versatile pieces for a great cause! Special designer guests include Arthur & Daughters, Pearce, Supra Endura, Nuance, and Forge & Finish. Books in Homes is a non-profit that provides disadvantaged children with brand new books of their own choosing to keep and build their home libraries.